What you will find here represents the diverse assortment of work we received: linked prose poems, narrative sequences, lyrical essays, and many surprises in between, such as groupings of koans and fairy tales and epistolary addresses. 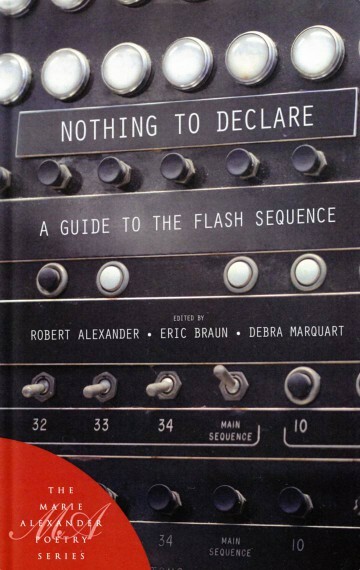 … This collection of flash sequences is a testament to the simple pleasure of continuity, of seeing what comes before and what comes after, fulfilling that basic human urge to answer the question, What next? women’s magazines. The offices of principals. Bedsides. You did keep watch. (Don’t cry. Don’t worry. Just sleep. to their own devices. That’s got to count for something, right? Ask them why don’t you? of it. Even, for that matter, the possibility of eggplant. wearing her elegant dress? Remember your exquisite ambivalence? fighting parents disappearing); little brothers stick together. So what do you think you can still make of your stubborn regret? long since. Isn’t it time you stopped crying again? plant with its companion herb. At once a venom and its antidote. A scourge and its cure. A sore distress and its comfort. who we were then, who we are now. I love you.